Bustling Hong Kong may seem best suited as a holiday destination for adults but this fun city also has more than enough to entice and amuse kids. Children on holiday in Hong Kong will be enthralled by a medley of zoos, museums and markets, not to mention the incredible theme parks and amusement parks to visit. 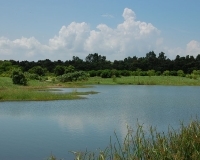 There are also nearby beaches, islands and nature reserves to explore. There are a number of museums for kids to enjoy in Hong Kong, including the Hong Kong Science Museum and the Hong Kong Toy Library, which is situated on the second floor of Central Library. Children can learn about traditional Chinese culture in Aberdeen and the outer islands, which are also very picturesque. Other adventures include the fun-filled Victoria Harbour tours, while Central Hong Kong and Kowloon have markets where children's clothes and toys can be found. 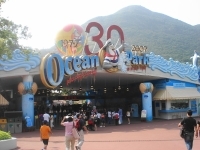 Hong Kong Disneyland and Ocean Park will thrill children for whole days, and the inner-city Kowloon Park is a great place for kids to let off some steam on a day of urban sightseeing. The best time of year to take children to Hong Kong, with good weather for outdoor activities and attractions, is between October and December when the days are warm, sunny and dry, and the evenings are comfortably cool. Children's Day is celebrated in Hong Kong on 4 April each year, a very festive time for families to visit.